Greetings! I have not been consistent in writing blog posts, no new game review in the month of November, I apologize. I thought I could balance my work, hobbies and spend time with my family. But I can tell you that I’m doing my best, I just found time to write a new post now. 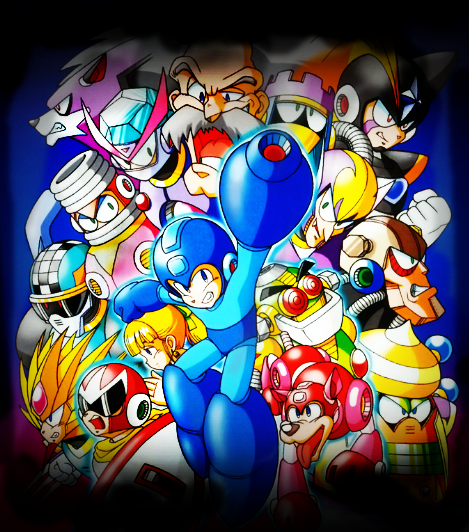 And I’m writing about my favorite video game hero of all time… Mega Man! My, I’ve been a big fan of the Mega Man series, ever since I was a child. I always choose Mega Man over other games and I mentioned my favorite Mega Man series was the 3rd installment. I even have an old post about that game here. Anyway, this installment is the 7th. Isn’t it odd? Yes- it is odd, I started with Mega Man 3, then 5 and now 7. Yes, it really is odd… odd numbers. (lol). I just figured to add another category in my site, a SuperNes Console category. I’d like to start with the new appearance he’s gotten for an SNES console, it meant better graphics for a better console. The story of Mega Man 7 is pretty much basic like the preceding series, Dr. Wily is loose again and wanted to dominate the world, Mega is out to stop his evil plans, eliminate the robot masters, blah, blah, etc… But the interesting part is Bass and Treble’s first appearance! These duo are created by Dr. Wily as a counterpart for Mega and Rush. But it is a good sight to see that Bass will sometimes rebel against his creator just to prove he is stronger than Mega. At least we see something different from the usual plot. 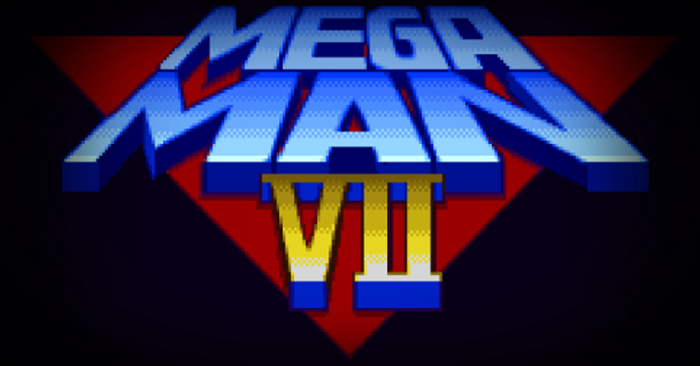 The same objective as the previous Mega Man games; robot masters to defeat, next is Dr. Wily’s castle where there are special bosses and Dr. Wily himself at the end, but since this is also the debut of Bass and Treble, you’ll encounter him in some of the stages. There are new features worth mentioning like the Super Adaptor, where Rush can fuse with Mega to grant an armor with more power, the screw that you can collect in exchange for items from Auto and the versus mode (2 players) where you can select Bass. Simply great! I liked how they’ve developed the game from music, to character models and even the story (adding Bass). There are just so many surprises this series has to offer. I wanted to highlight Mega Man’s new look, you could see his facial expressions, when he jumps, slides, receive damage, even when charging! His charging is the best part for me, he raises his buster to aim. So kudos to the game developers to making a significant change and from transitioning from a NES game to a good SNES game. Here is a video of me beating Junk Man’s stage and him. I had to die purposely to know his fighting pattern(defensive statement). Enjoy!